Why Olaplex is your best friend. 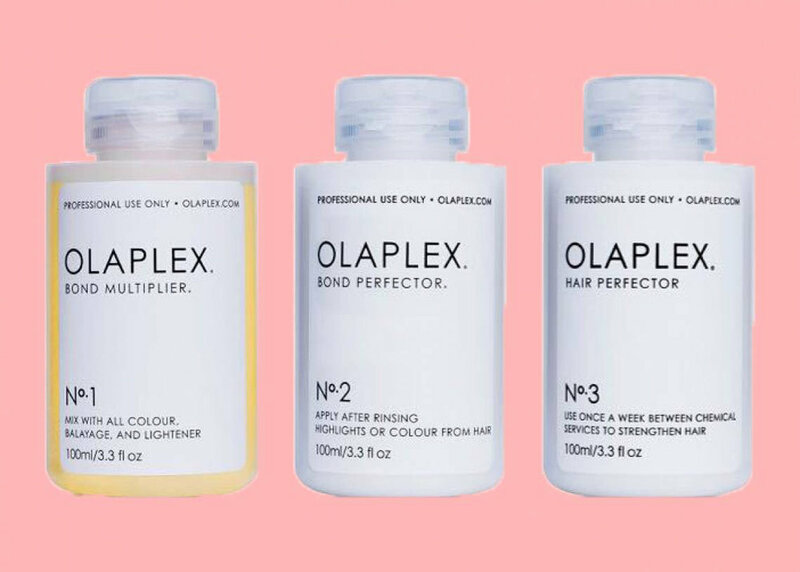 We rave about Olaplex, A LOT. But we know it's not something that everyone opts for when they come in for a hair appointment because not everyone is sure how it'll benefit them & how it works. We'd quite happily brand it the secret to healthy and strong locks. But let's get one thing straight before we delve in, it's not a conditioning masque. It's THE miracle product for re-building your mane, restoring strength & health. Every time you colour your hair, the bonds within each hair strand break, causing your mane to become weak and distressed. Olaplex combats the breakage by creating a bridge between broken bonds which ends up healing your mane from the inside out. Since it's not a conditioning product, you will need to use your usual weekly hair masques to deliver the gloss. Let's get down to how it's applied.. STEP ONE : Olaplex Number One - Bond Multiplier. This is applied to the hair by being mixed directly in to the hair colour / bleach that is being applied to your mane. It can also however be used as a stand alone treatment! After the colour / bleach has been rinsed out, the bond perfector is applied and is left on for at least 20 minutes. This is the "take home" part of the treatment. It's recommended to be used once a week by applying to damp hair and leaving on for 10 minutes before washing as normal. If you want to maximise the effects of the hair perfector, you can leave it on over night. IS IT POSSIBLE TO USE ON DAMAGED / SPLIT ENDS? Yes, absolutely! The unique purpose of Olaplex is re-build your hair from within so it's perfect to address damaged hair problems. HOW TO USE STEP 3 AT HOME AND HOW OFTEN? Follow the guide above and it's recommend to use Step 3 once a week for a healthy mane. BEST WAY TO USE STEP 2 AT HOME? Steps one and two should be used at the salon by your colourist, it's only step three that should be used at home. HOW OFTEN SHOULD YOU USE THE OLAPLEX TREATMENTS? Steps one and two can be used each time you have your hair coloured to repair any damage and step three can be used at home on a weekly basis even if you've never used steps one and two before. There are various re-building treatments out there but there's a reason why Olaplex has received such a high level of standard when it comes to healing hair. It's always better to spend a little more when it comes to treatments.